Browse our list of Wichita area automotive garages specializing in transmission repair services. Automotive repair, transmission services, oil, lube and filter changes, diagnostic services and vehicle maintenance in the Wichita area. Get it done right the first time we specialize in transmission diagnostics, repairs, and replacements. 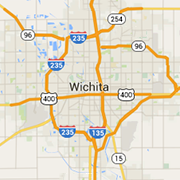 See us for all your Wichita transmission needs. Specializing in repairing transmissions in diesel-powered trucks up to 1-ton. Best quality and service in the state!